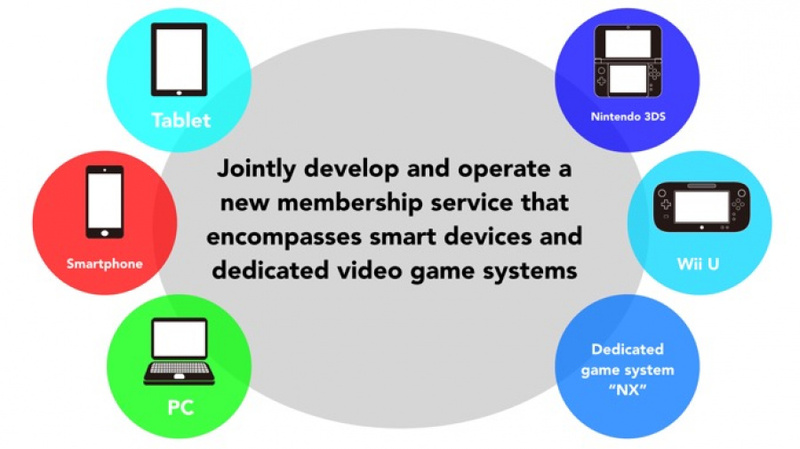 Looking to "create a connection regardless of the device the consumer uses"
Nintendo boss Satoru Iwata has revealed that the company is working on a cross-platform successor to its Club Nintendo membership programme. Unlike the Club Nintendo membership service that Nintendo has been operating, the new membership service will include multiple devices and create a connection between Nintendo and each individual consumer regardless of the device the consumer uses. This membership will form one of the core elements of the new Nintendo platform that I just mentioned. Club Nintendo - a loyalty programme which allowed fans to collect points and redeem them against special items - was closed recently. Nintendo has previously stated that its replacement would be coming later this year, which means we could see this new programme rolled out in 2015. In the new system I'd definitely like to see some kind of credit (e.g. eShop) that effectively discounts what you spend on digital purchases. About time they make a unified account where I can simply redownload all my games if I get a new 3DS. Great to see this finally happening, and well done to Nintendo for admitting they needed outside help to get their head around it. It's much better to do that and be a success than remain stubborn and fail. Well I do and I don't. You get what I mean. I don't know what to make of it. It sounds like rather than NNID being the unified account you have to link that NNID to this other account. So I'll await more details. Yeah! Nintendo please make a dedicated mobile device. All I ask is for this service to be available in Scandinavia. We don't even know much about the New Club Nintendo but it all ready sounds like it going to blow the old Club Nintendo out of the water. People need to understand that 'cellphone gamers' aren't core gamers, they never represented the market as a whole to begin with. They represent people NINTENDO, MICROSOFT, and SONY wish would buy their products. As a business owner myself, I deal with this mentality all the time. I sell collectibles and right next to me is a donut shop, the donut shop gets a hundred times more business than I do, because donuts have a bigger appeal to a wider variety of people. Sometimes I wish I sold donuts when I see the donut lady rolling in the cash-- but I also realize that going through the trouble of turning my collectible shop into a donut shop would alienate my loyal customers. I really wish Microsoft, Sony, and Nintendo would get over their 'need' to make trillions by appealing to a johnny come lately market platform and stay loyal to the people who have supported them for the last couple of decades. My take is different. I read this as a subscription service, not a rewards program. Maybe rewards are built into it, but I will be suprised if this is free. @AugustusOxy I understand your point of view. However, as companies, the Big Three NEED to bank in cash, therefore, they need find ways such as expanding on mobiles. I still agree with you however. While I want Nintendo not to fail financially, I'm a liitle worried about what this whole process will mean for peeps such as you and me who support them. So is the NX the Wii U successor? I am afraid that purchase of retail games will only net rewards tied to free to play games and other meaningless (no cost to Nintendo) rewards. Nintendo will most likely spin the "third platform" concept like they did with the DS, and when/if it takes off, will kill off the Wii U within a year. This is fully what I expect to happen. And then, yes, the NX will be the Wii U successor. Your concept of "core gamers" is outdated and nonsensical. If MS, Sony, and Nintendo didn't ever bother trying to branch out, they'd stagnate and hinder their growth. This is something to be excited about--it means Nintendo is finally doing something to strengthen their company and extend their reach. Just because Nintendo or Sony or Microsoft can branch out doesn't mean they're abandoning "core customers." Hell, those "core customers" are one of Nintendo's biggest problems as their buying habits force Nintendo into endless circles of making and remaking the same few games over and over again. Nintendo needs to branch out, they need to grow, and they need to reach new audiences, and this is an excellent way to get started. They aren't putting your beloved Zelda or Mario classics on mobile, but finding a way to bring those characters to the platform in a (hopefully) logical manner. So we can expect Nintendo's successor to release next year? Or 2017? Anyways, I'm liking what I'm hearing. I just hope we finally see proper, robust user accounts with things like Achievement systems and optional paid tiers so that the company can finally try competing against MS or Sony. I'd love to see how Nintendo spins and reinvents Achievements. I think 2017 might actually be too late. Then they risk looking like a mid-generation stop-gap. Launching the new platform in late 2016 is already going to be a gamble, three years after the XBO and PS4, but if they're exceptionally careful and smart, they could make it work. I've been saying the Wii U's time was likely to be short, and this would seem to back up that sentiment. @Quorthon It does look like Nintendo knows what it's doing. I'm sure we will hear more about it at E3. @Quorthon I think it's more likely to be a replacement for the 3DS. Think about it, the 3DS will be in its 5th year by the time this is revealed next year. @Quorthon Seems a bunch of people think it'll be the 3DS replacement. Or maybe next gen Nintendo is gonna make their home console and portable with the same specs, so that you can play any game, anywhere. @sevex of course it could very well be a handheld. If that's the case I'm pretty sure they're building it with the next home console in mind. It's interesting to see just one platform on there as Nintendo clearly doesn't consider this new hardware to be an obvious replacement, but a clear "third pillar." As I noted elsewhere, this is the marketing term they used to sell the DS--"Oh no! We aren't replacing the Game Boy brand! This? This is a NEW THIRD PILLAR!" Behind the scenes: "Hey, the DS is super successful. Quietly kill the GBA. We've successfully replaced it." That's what I picture here, and since Nintendo has merged their portable and console hardware development teams, perhaps--just maybe--this is an indication of a unified platform. True, going by timeline (and dropping 3rd party support), it makes more sense to replace the 3DS. But on the Wii U front, the console has lost so much steam that it's quite clearly unlikely to last a full generation against the PS4 and XBO--both selling better than their previous hardware installments. Nintendo needs to replace both. Let's keep in mind, Miyamoto has at least twice teased the new hardware, once with a phrase that indicates that the next time we see a major Mario console game (a la 64, Sunshine, Galaxy), it will be on the next platform. That bizarre hint would seem to indicate a home console is looming. Welcome, but a little too soon to be announcing new platforms when they only just released the N3DS!!! Is that what NOA is referring to when they talk of not confusing consumers? "Look at this new device! Oh no, not that one, this new one here!" I'll be happier when a date is confirmed, 18 months to a couple of years for the NX please. Not bothered about games on mobile devices. Nintendo has to get that share really. As long as they still produce great games for their own hardware too, I'll still buy them. I kind of trust they will. I admit I'm reeling from all the announcements today and I don't really know where do begin with all the new information that came out but this does seems like good news. As a Nintendo fan and supporter, I have already begun to see all the areas where I use Nintendo services expand. I love to use Miiverse from my phone and generally have it next to me during play sessions so that after I post something, I can read and respond to comments immediately without having to load up Miiverse on my device. I would like to be able to have games that I buy playable on multiple devices as well. Not non-Nintendo devices, of course, but on other platforms. I loved the Mario vs. Donkey Kong cross buy promotion. Thanks for your coverage of this news. I will continue to read on! @Quorthon I think everyone seems to be in agreement that NX will be a hybrid, or at least something close. Considering they used the third pillar approach to replace and retire a thriving platform, they could certainly use it to replace a waning platform and a flopped platform. Think about it: a new hybrid platform that has a main series Pokemon game (needs to be a new generation with new Pokemon) that can be played on the go like usual, but can also be played on the big screen as a launch title? Will break sales records. Put that with some 3rd party exclusives and a game from one of Nintendo's other franchises, and it can sell quite well. One thing I'm curious about is where all these resources are coming from considering they also have the Quality of Life division to support alongside all of the stuff that's transpired today.